The symposium has assured reduced fees for numerous extra curriculum activities during your stay before, during or after the symposium. 1. SUBSEE EXPLORER: The SubSee Explorer is unique to Aqua world. 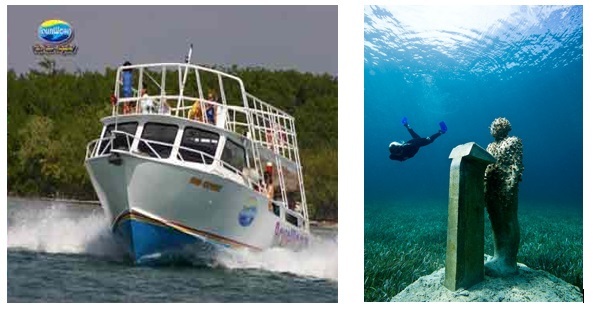 Enjoy a Sub ride on the Punta Nizuc Cancun reef areas and see the 5 most recent underwater museum statues. TICKET INCLUDES: Narrated trip in air conditioned comfort; Beer & refreshments on the boat ride to and from the reef. DURATION: 2 Hours 15 mns. 2. PARADISE SNORKELING: Enjoy unlimited snorkeling on Punta Nizuc and visit the Cancun Underwater Museum. Amazing statues and astounding reef areas. 3. ISLA MUJERES DAY TRIP: Enjoy a fun packed day trip to the famous Isla Mujeres. Aqua world's all-inclusive day trip is just what you need to explore the wonders of this unique island. 4. 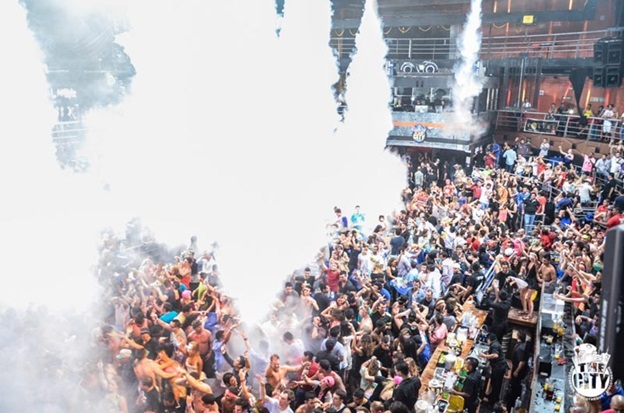 JUNGLE TOUR: Get ready for some serious Cancun fun! Hop on your two person speed boat and follow the guide across the Nicupte lagoon. The channels lead out to the crystal clear waters of the Caribbean where you can snorkel on the second largest reef area in the world. 5. MUSA: Situated a short distance from Manchones: The Cancun Underwater Museum (MUSA) began in 2008, British artist Jason DeCaires Taylor dedicated 4 years in the creation of 460 life sized concrete sculptures. Come and visit this amazing ecological project. 6. AQUA TWISTER: Experience Aqua world's adrenaline adventure. Hop aboard our Aqua twister to enjoy an unforgettable ride, feel the wind in your face and your heart in your stomach as this powerful boat takes you on a journey of a lifetime. 7. COZUMEL TOUR: The island of Cozumel is legendary among divers and snorkelers. The waters surrounding Mexico's largest island often exceed 200 feet of superb clear visibility. 8. SCUBA DIVING: If you have never tried scuba diving, now is the time to start. The Discover Scuba is all you need to go diving right away. The class can be completed in two hours and then we will take you out to the open sea close to the island of Isla Mujeres. 9. 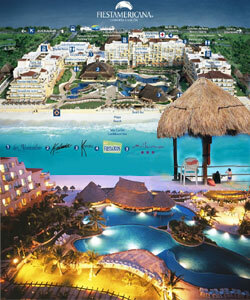 SKYRIDER: Sit back in comfort and gaze at the impressive sights of the sea, lagoon and Cancun hotel zone. This unique mechanism provides a comfortable and secure ride as you are lifted from a platform on the back of the boat. ...if you would like to try your hand at fishing and are travelling alone or with a friend, our shared fishing charter is a great option. Let us hook you up with others and arrange your trip for you. 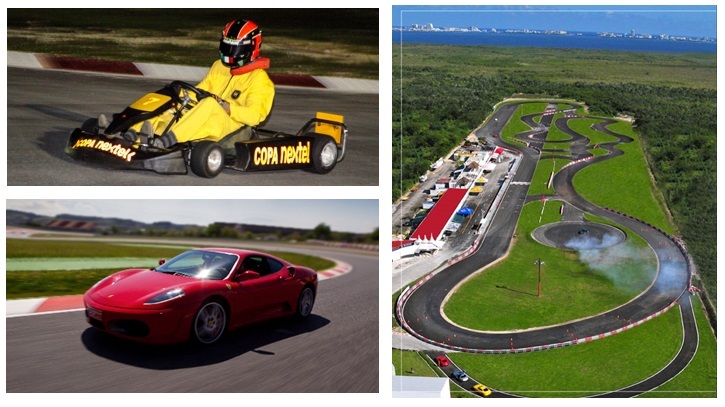 At Exotic Rides in Cancun Mexico, everyone has the opportunity to enjoy the thrill of racing exotic cars on a Private Race Track or feel the astonishing acceleration on a Road Tour of the breath-taking Yucatan Peninsula. Choose from any of our Luxury Sport SuperCars: Ferrari, Lamborghini, Mercedes Benz SLS AMG Gullwing, Audi R8, Lotus Elise and others exotics. TICKET INCLUDES: Theoretical Classes; Car Recognition (controls, dashboard, pedals, etc. ); Drive 2 Cars from Cancun to Tulum; Activity Insurance. Requirements: Valid driver's license; Closed shoes, NO sandals; Ages 18 + . DURATION: 4:00 - 6:00 hrs - 228 miles approx. You get transportation, drinks included and area reserved. 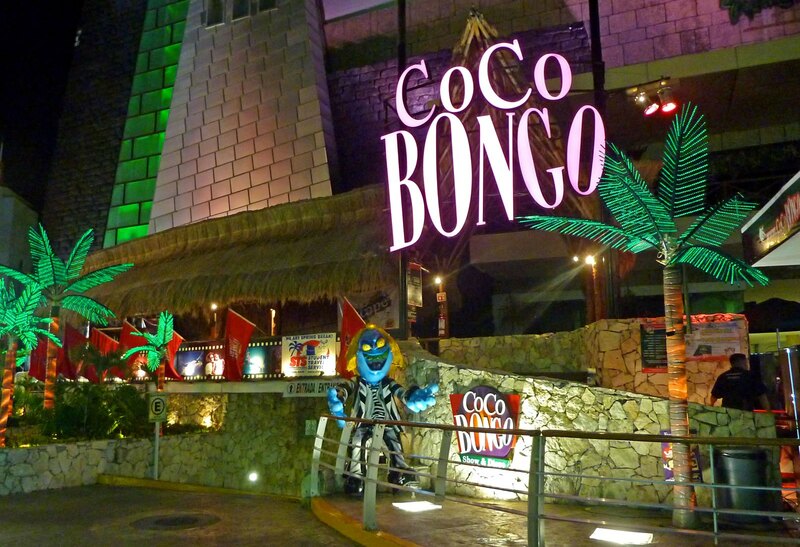 Located in the heart of the active hotel zone, the multi-level seating and nightly Rock and Roll & Salsa bands bring fresh diversity to Coco Bongo's astonishing musical mix enhanced by world class DJs taking sounds from the 70s and 80s, Dance, Trance, Hip Hop and Rave. 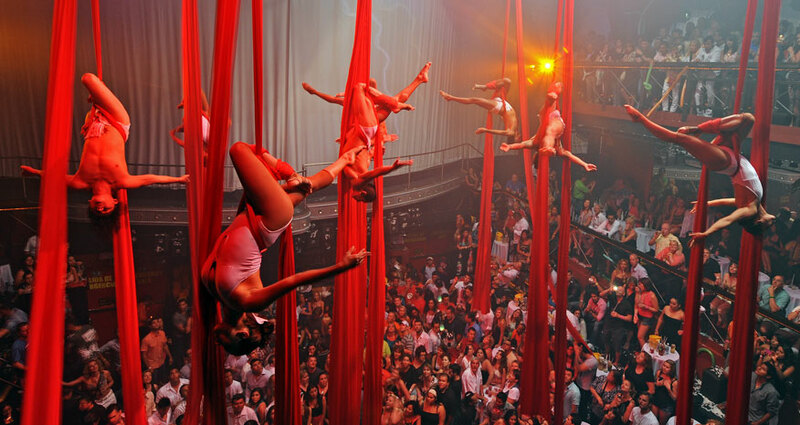 More than 40 actors, musicians, artists and flying acrobats are on scene, creating a world class spectacle that never fails to bring the magic and energy of the night to life. 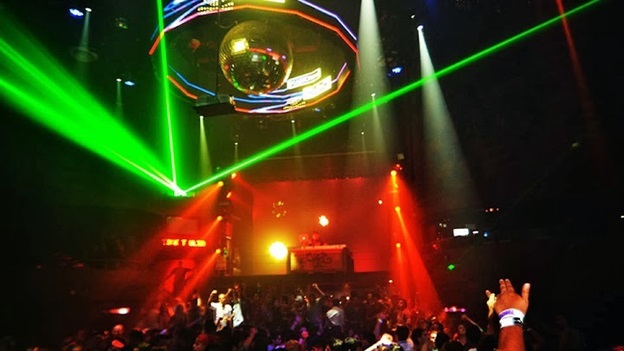 Dady'O, located in the center of the hotel district, is one of the most popular dance clubs in the world. It offers a varied range of mash-up, from the 80`s and 90`s to Dance and Hip-Hop. Dady'O features world known DJs, laser shows, special effects, bikini/swimsuit contest, themed parties and much more. 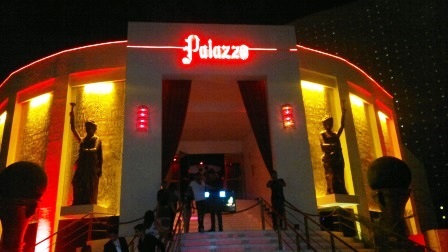 Besides, the clients can enjoy a private party in our VIP zone which is located at specific areas on our dance floor. 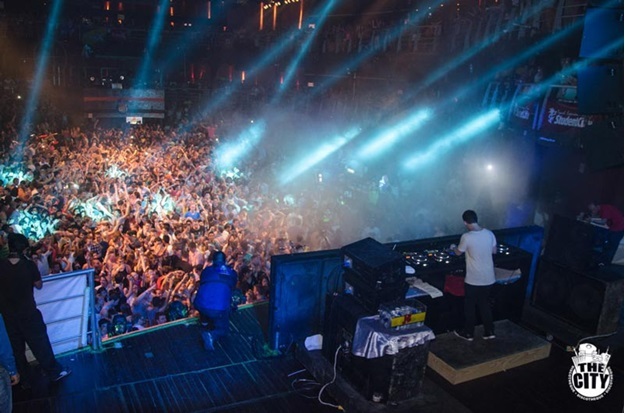 Dady'O is without a doubt the favorite place for all those who are looking for the best Cancun nightlife. 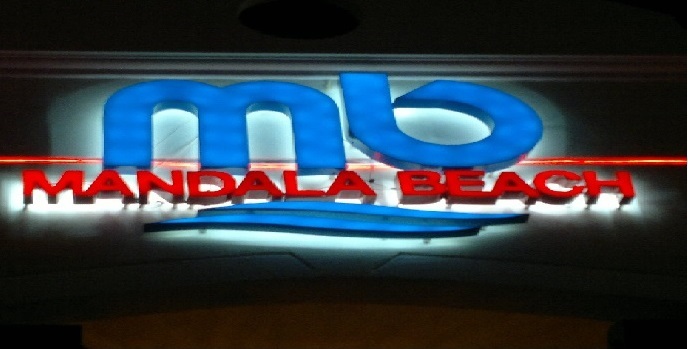 A new era in Mexico's nightlife was born with Mandala. 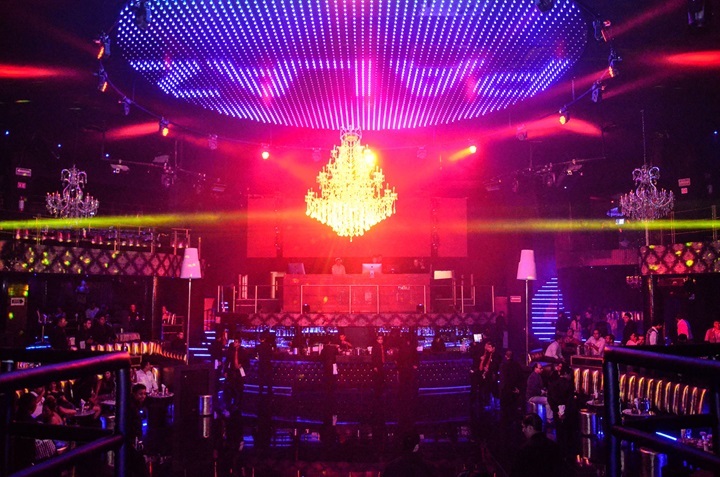 The outstanding entrance makes this club different from every place in town. The most cosmopolitan crowd goes to Mandala. If you value exclusivity, you'll love it here. Club opens daily at 9:30 p.m.
3 levels with different and comfortable kinds of set ups, adaptable to your specific needs, 9 bars. Capacity to provide with buffet and plated banquets for maximum 1100 guests. Availability for private and semi-private events. VIP sections for special groups. 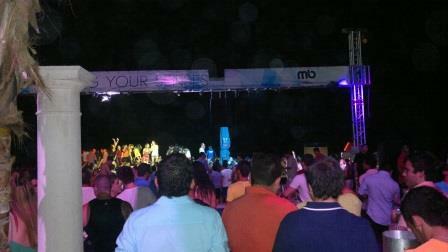 Extensive rider and stage for live concerts, also backstage and catering service. Special effects for events, such as confetti blowing, giant balloons, CO2. Palazzo breaks all parameters of the night. It redefines the night experience taking it to the highest level of glamour. If you've ever been to Senor Frog's, you already know that they're a place where people of all back grounds hang together, dance, sing and basically act the way they want without worrying about rules and regulations.